Being a Graphic Designer or a Brand consulting firm, you’re always looking for new ways to improve your customers’ image. Digital transformation is bringing a complete new range of ways for your customers to sign emails, allowing a huge dose of creativity, and at the same time remaining effective in providing contact information, and projecting values and status. 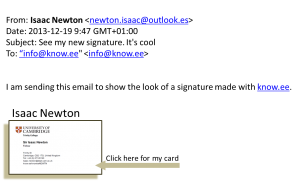 Old email signatures would try to conciliate the image of your customers with her hard data and the social networks icons. The above are great examples taken from emailsignaturerescue.com and Yesware.com. They have a very good design, with a balanced layout, quite attractive, but also difficult to be used by the receiver of the mail. You can copy paste the phone if you want to call, or the address in case you want to drive there, and if you want to create a contact, you have to copy paste everything. Also, it is obvious that logos of the company, and the own image of the owner of the signature seam to merge with the social network icons: LinkedIn, Facebook, or Twitter, to the point that they get more relevance that the actual company. This is due to the need to make the information not only available, but actionable. You want to provide a single click access to your LinkedIn profile. But you are paying a high price. Alternatively, try this link. And try this other one link, too. 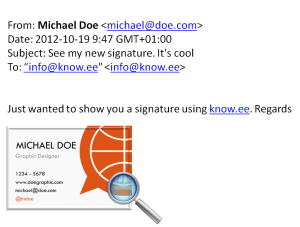 These links are taking you to a full-fledged business card, digitally transformed and enriched, to allow for easy use in the social network era. 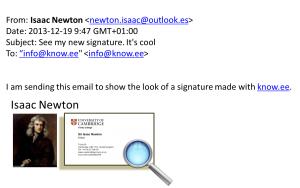 These cards can be clicked to call, to email, locate, or access the social network profiles, and it can be added as a contact without keying anything. They are visible on a simple and plain browser, on any device, be it a PC, a Mac, or a smartphone. And at the same time, they keep the complete image of your business card. 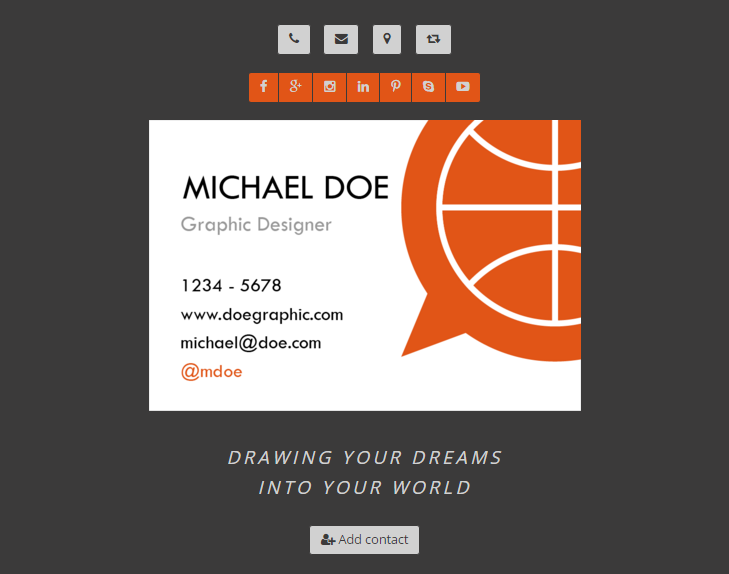 Now, you can imagine the possibilities that a good designer may have to create new email signatures, without losing a drop of functionality, just by adding to the design a link to the actual Personal Brand Card of the sender. I am showing below some terrible designs, I am not a designer myself, so please excuse me. You can click on the images to see the actual digital card of the sender of the email. 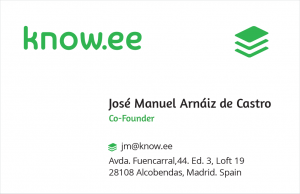 All you have to do is create a new signature, including any text and image, as before, and insert a link to the know.ee card to provide the image and functionality of the sender’s Personal Brand Card.